Personal cell phone use for any work-related calls is now no different than unauthorized overtime, except worst because it applies to all California employees, exempt and non-exempt. What does this mean? If an employee in California uses a personal call phone for business-related use (i.e., “in direct consequence of the discharge of his or her duties or his or her obedience to the directions of the employer,”), a California employer must reimburse the employee, even if the employer prohibits the employee from using his or her personal cell phone for business use. 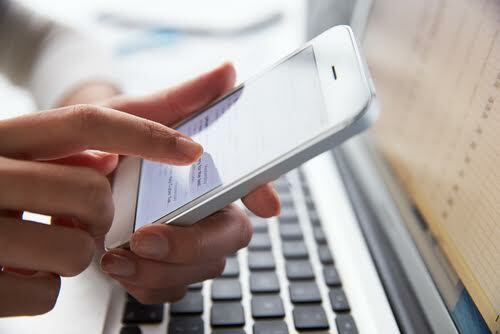 The Court held that “when employees use their personal cellular phones for work-related calls,” California law (i.e., Labor Code Section 2802) “requires an employer to reimburse them.” This is so even if the employee incurs no additional expense due to the work-related calls, such as if the calls are within the employee’s plan for unlimited minutes or the cell phone bill is paid by someone, other than the employee! Otherwise, the Court reasoned “the employer would receive a windfall because it would be passing its operating expenses onto the employee.” In these type of cases, the employer must pay “some reasonable percentage of the employee’s cell phone bill.” So how does the employer compute “some reasonable percentage?” Unfortunately, the Court copped out stating, “[b]ecause of the differences in cell phone plans and work-related scenarios, the calculation of reimbursement must be left to the trial court and parties in each particular case. Provide all employees with Company-issued cellular phones and voice/texting plans. Upside: guaranteed compliance with the law and better protection of Company’s trade secrets, which are put at risk by “Bring Your Own Device” policies. If the employer owns the phone and maintains appropriate policies, it will maximize its right to monitor cell phone usage. Pay the employees’ entire personal cell phone bill. Upside: guaranteed compliance with the law and easy to compute. Downside: $$$ and not protecting Company’s trade secrets. Calculate the average proportion of time spent on work calls and pay that percentage of the total bill for that period. Downside: more work to compute. Require employees’ to submit any proof that the proportion of work to non-work calls exceeds this fixed amount. Upside: less work, shifts onus to employee if exceeds the fixed amount and provides greater accuracy. Downside: processing increases, as well as, an employee’s incentive to use their personal cell phones for work-related use. Employees must provide evidence of their work-related cell phone usage so that employees are reimbursed the actual cost of such usage, to the extent the actual cost can be determined. Downside: Processing costs increase and not feasible where employees use plans with free minutes. Moreover, the principles announced in this case strongly suggest that they may apply equally to many other personal items used for business purposes, such as, personal laptops, ipads, the internet connections to use them and even a home telephone line or that very expensive camera, all of which could theoretically be the subject of reimbursement under the holding of Cochran. If access to a computer at the employee’s home is required on a frequent basis, employers may wish to consider providing an employer-owned mobile “hot spot” for employees to access to avoid a claim that the employer must pay for some undefined percentage of the cost of the employee’s home Internet access. Although this ruling is not final until thirty days after it is issued, and may be subject to further review if the employer appeals this ruling to the California Supreme Court, employers must prepare to comply by reviewing its reimbursement policies, as well as, auditing employee’s practices to determine how employees are currently using all its personal devices to assess the financial impact of strict compliance. If this ruling sticks, this will be the newest class action weapon employed by the Plaintiffs’ bar. For questions about employee cell phone use, or to schedule a compliance audit, contact Lisa Sherman at 213-341-4417 to schedule a free consultation. More Questions About Personal Cell Phone Use?